With this intent in heart, IndiaMART stepped into the 5th season of bringing a difference into the lives of millions of people. 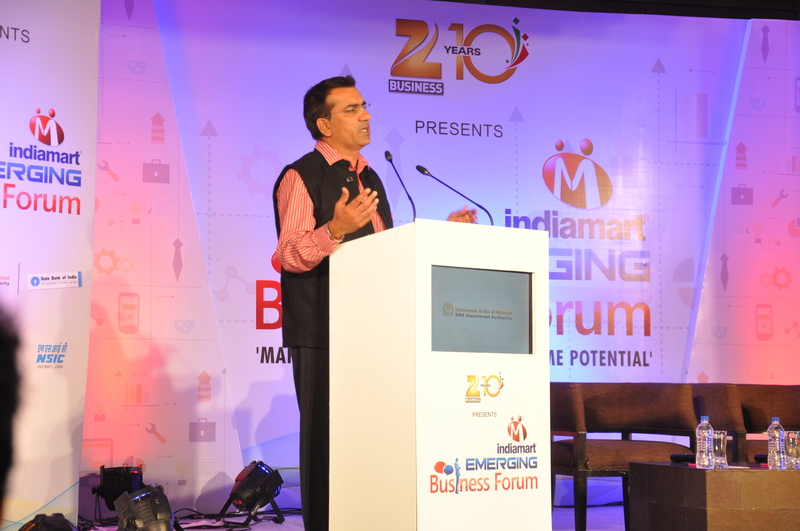 Successfully running IndiaMART Emerging Business Forum, in association with ZEE Business for the past four years, this year, IndiaMART aims to converge all its efforts towards what the entire country is working towards – “Make in India”. 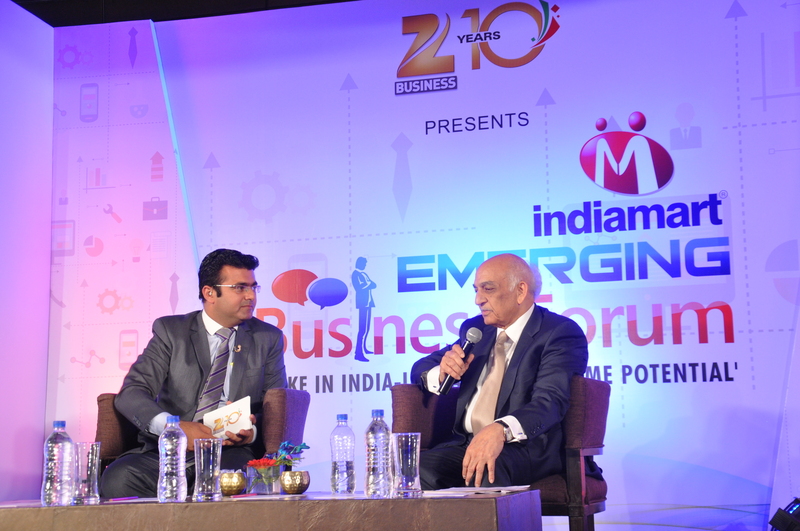 A grand event studded with the most eminent personalities of the industry, IndiaMART Emerging Business Forum Season 5 was held at Vivanta By Taj, Surajkund on the 24th April, Friday night. As the Sun was going down, the mood for the event was rising up…with the end moment touch ups and fixes, the stage was set right on time. Soon the registration desks started flooding with the guests and within an hour’s time the empty hall was jam-packed. The agenda for the event was to discuss the problems and shortcomings faced by the SMEs of our country and help SMEs Make In India. 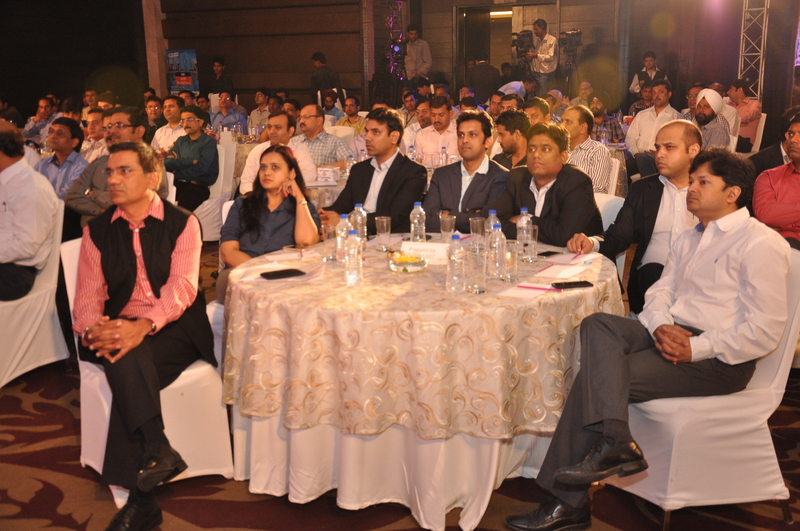 The event was inaugurated by Mr.Dinesh Gulati, Director, IndiaMART. Speaking about the SMEs sector contribution to the economy of India, he said “SMEs are the most resilient sector of the Indian Economy. They survive in the hardest of conditions and make the best of the opportunities available to them”. Carrying forward the same spirit, soon the panel discussion began on the most important topic of the evening “Helping SMEs Make In India”. The panel was graced with the presence of Mr. Dinesh Gulati, (Director, IndiaMART), Mr. S. P. Singh (General Manager, SBI), Mr. Ravindra Nath (CMD, NSIC), Mr. Rajiv Chawla (President, Faridabad Small Industries Association), and Mr. Ajay Thakur (Head, BSE). An intensive discussion about the troubled life of the SMEs in India proved very rewarding and motivating in making India one of the leading manufacturers of the world. Various aspects such as skill divided, lean manufacturing, energy audit, untapped opportunities and much more was brought to light by the panelists. 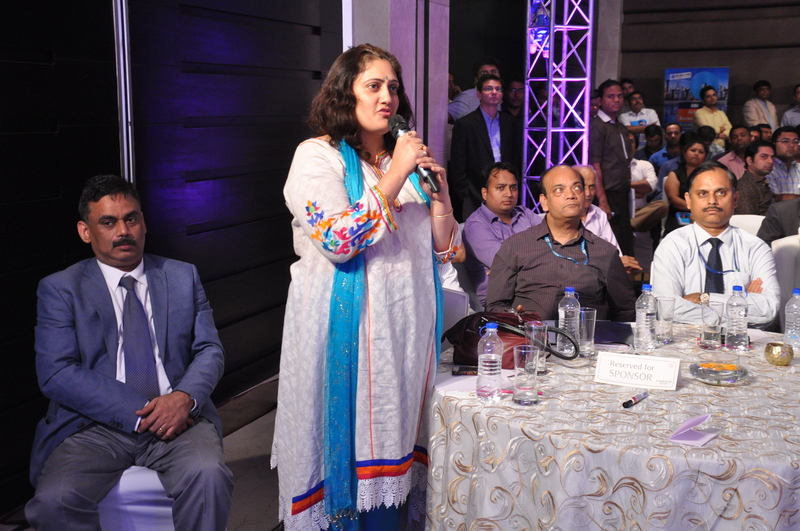 The event also reflected the journey of an SME who made it big by making in India. Acme Plastics and its owner Mr. Naveen Kumar, a small businessman of Faridabad, addressed the audience and shared his success story on how he gave his company new wings. Naveen explained how he focussed more on quality, which helped him earn a name for himself. His main competitors were from China who always had the cost edge, the reason he focussed on superior quality. Many people drew inspiration from him and lauded his efforts for emerging triumphant. 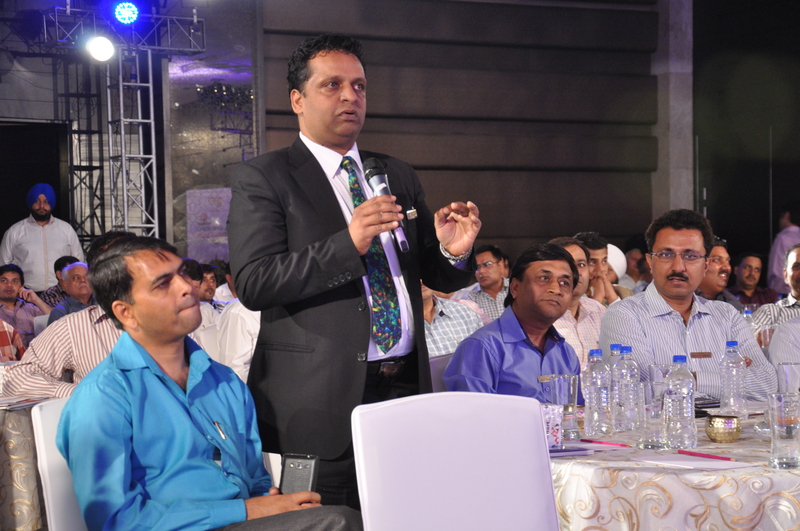 Many SMEs took the opportunity and made the most out of it during the audience interaction session. The even reflected how SMEs can make it real big in the country. 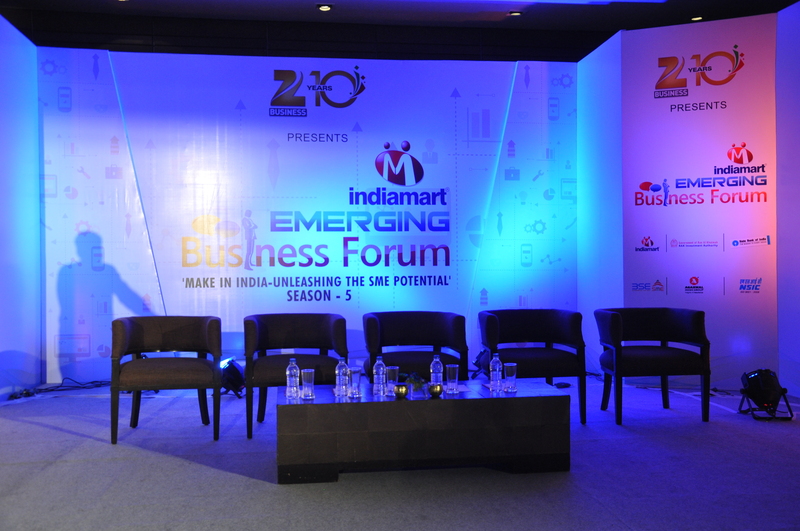 A special success story session was planned for the guests of the Emerging Business Forum Season 5. Mr. Ramesh Suri (Chairman, Subros) addressed the gathering and enlightened us with his success story. One of the peak moments of the evening were when “SME IT Mahaabhiyaan – Digitization of SMEs” was proposed during the event, a joint venture of IndiaMART, NSIC and Industry Association. Nothing like the sound of applause audiences gave on this announcement at that very moment…absolutely spell binding! The discussions of the event continued over drinks and dinner till late night!!! 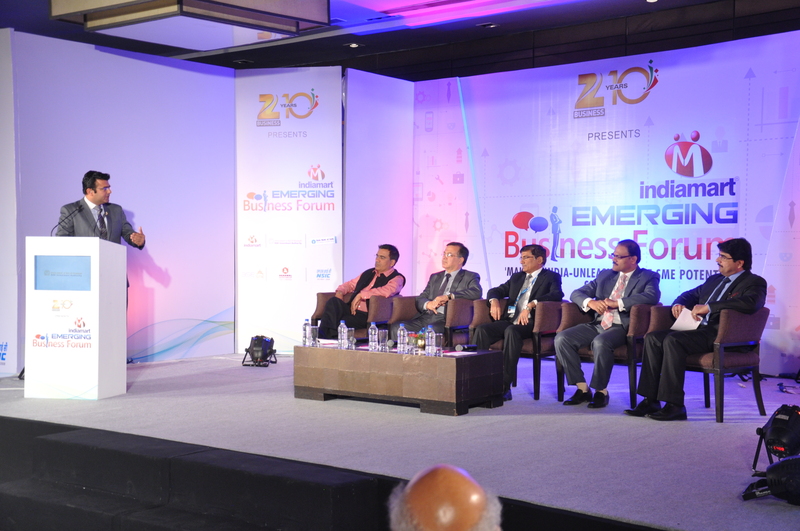 Altogether, the audience delved into the SME industry’s lingo. 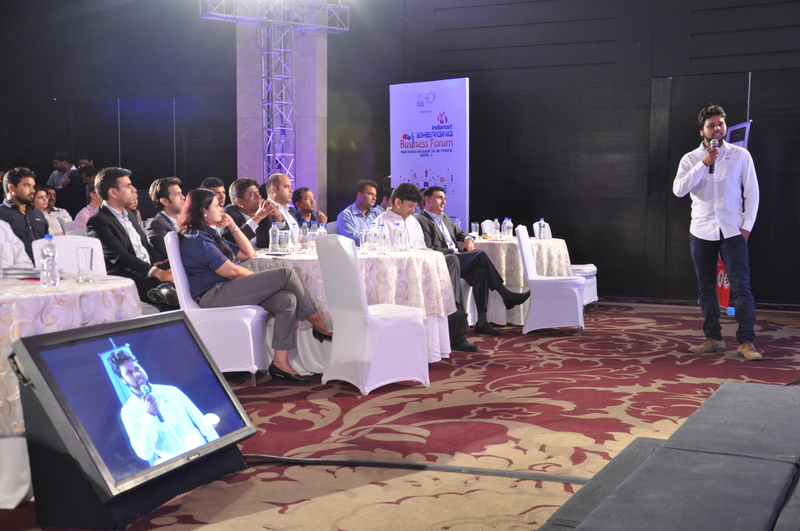 Whether it was planning a newbite, rectifying current business problems or just starting afresh, the IndiaMART Emerging Business Forum not only helped in keeping the SME Industry knowledge on the cutting edge, but also garnered high expectations for their next meet in Ahmedabad.